An orange giant star which lies around 34 light years from Earth, it is around nine times larger than the sun with twice its mass,it’s radius is 5,564,000 km. 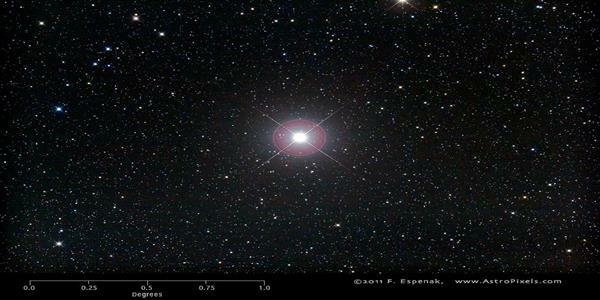 Pollux is the brightest star in the Gemini constellation. Surface temperature is approximately 4,865 K.
Aldebaran is an orange giant star located about 65 light years away in the constellation of Taurus. 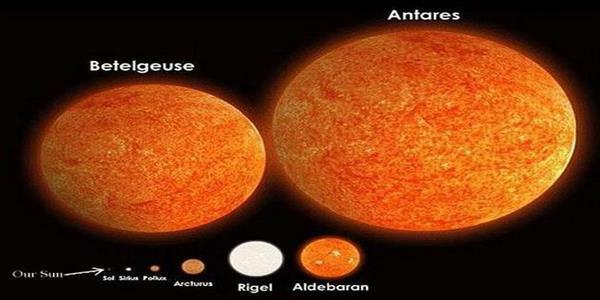 Aldebaran is around 44,2 times larger than the Sun, the radius is about 30,740,000 km . Surface temperature is approximately 3,910 K. Measured it as 65.1 light years away. 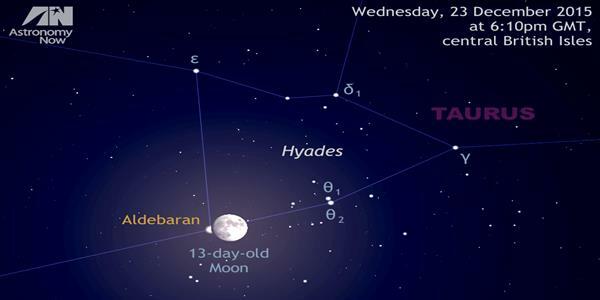 Aldebaran shines with 425 times the Sun’s luminosity. Rigel is the brightest star in the constellation Orion and the seventh brightest star in the night sky. Around 12,000 times as luminous as the Sun. Rigel is most visible in winter evenings in the northern hemisphere and summer in the southern. The distance from Earth is about 860 light year. It is around 78 times larger than the Sun, the radius is approximately 54,250,000 km. Surface temperature is approximately 11,000 K.
Antares is the brightest star in the constellation Scorpius, it has around 850 times the radius of the Sun and 12 time massive than the Sun, if it was placed in the center of our solar system it would reach beyond the orbit of Mars. The distance from Earth is about 550 light year. 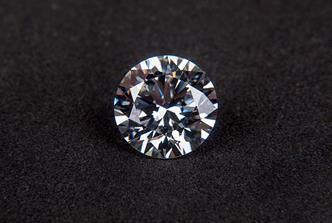 It is around 57,500 times brighter than the Sun. Around 12 million years old Antares is already nearing the end of its lifespan and is expected to explode as a supernova in the next million years. Low mass stars such as our sun exist in their main sequence for several billion years. 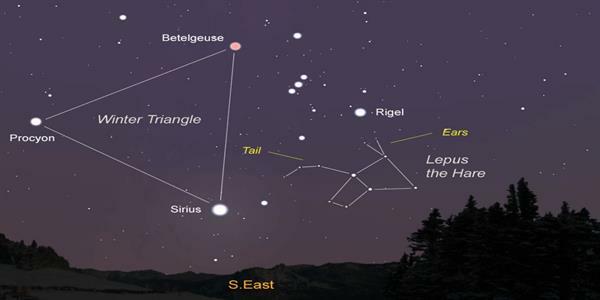 Surface temperature is approximately 18,500 K.
Betelgeuse is a red supergiant which is the ninth brightest star (the brightest star in the sky is the Sirius) in the night sky and second brightest in the constellation of Orion. 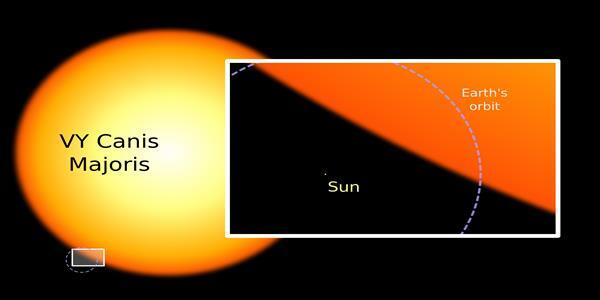 This star is 640 light years away from Earth with 20 times more mass than the Sun. 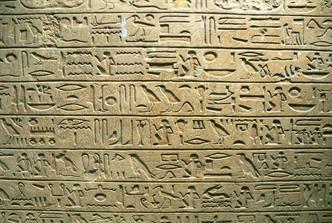 Betelgeuse radius is about 820,700,000 km. Red supergaints that have the same age as Betelguese are expected to end its life soon. It’s radius excess 1200 times that of our Sun. 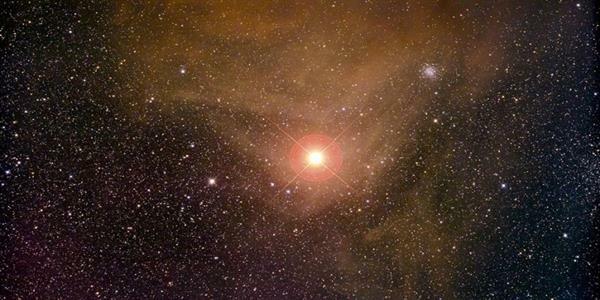 Surface temperature is approximately 3,600 K.
Mu Cephei is a red supergiant star in the constellation Cepheus. 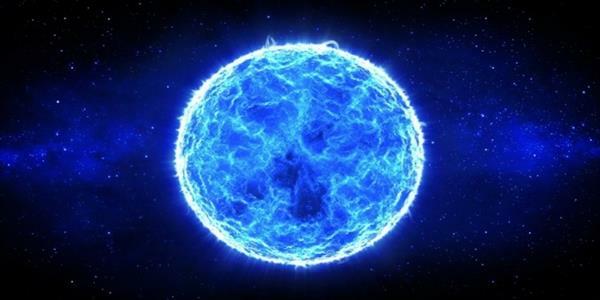 It is one of the largest and most luminous star known in the Milky Way. 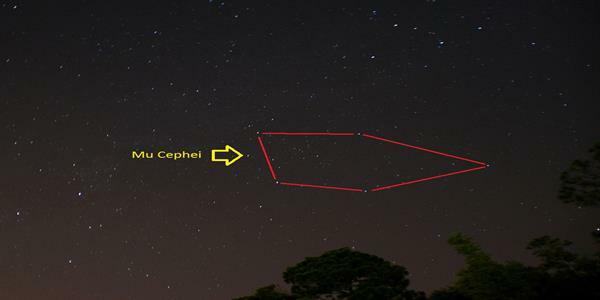 The distance to Mu Cephei is approximately 6000 light year. With 20 times more mass than the Sun it has 1,420 times more radius than the Sun, about 988,036,000 km. Surface temperature is approximately 3,690 K. Mu Cephei is nearing death. It has begun to fuse helium into carbon, whereas a main sequence star fuses hydrogen into helium. The helium-carbon cycle shows that Mu Cephei is in the last phase of its life and may explode as a supernova. Around 38,000 times as luminous as the Sun. 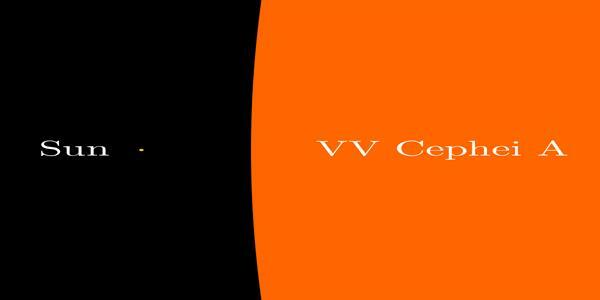 Located in the constellation Cepheus, VV Cephei is about 4,900 light-years from Earth.VV Cephei, also known as HD 208816. Surface temperature is approximately 3,600 K. This red hypergiant star is estimated to be between 1,050 and 1,100 times the radius of the Sun.